A professionally recorded live session complete with multi-camera shoot. We're offering artists the chance to perform two of their tracks live in our studio. You will be professionally recorded using our superb studio equipment and will receive a multi-camera shoot of your performance.  Advantages of recording a live session are: to show fans and potential booking agents a true representation of your band, gain many more shares on social media and to capture that special studio magic as seen on programs such as Live at Abbey road. Showreels will be edited within a few weeks post event. To book a place you will need to pay a £50 non-refundable deposit. A payment link will be available on this page once the next live session date has been scheduled. Please check back. Our sessions are limited to 8 bands spread throughout a 12 hour day. You will be able to record up to two songs within your allotted slot. This gives us time to record each act individually. Much like a live gig situation, we'll provide the backline: drums, guitar and bass amps so that bands can swop over in a timely manner once they have completed their session. *Drummers* remember to bring your breakables: cymbals, pedals & snare etc. Once all acts are booked we will schedule a time for you to arrive. Please make sure your band is free between 10am & 10pm on the day. Naturally, a certain amount of waiting around will be inevitable, but we aim to stay on track with our schedule and minimise the wait. Other bands will be present on the day. How will you record the session? We'll be multi-tracking the whole session using an array of high-end studio mics, superb outboard gear and excellent audio plugins. We will also be using multiple cameras to capture your session in full. All cameras are iso-recorded for post production. Both audio & video will be mixed in post. Can I record more than two songs? You can purchase an extra session which will give you up to 4 total songs. Please note that this will be dependant on available slots. How long will it take to receive my video? We aim to have your video ready within a few weeks of the session. Please note that some videos may take longer than others to complete. What if a mistake is made during my live session? Don't worry, we'll give you a chance to re-shoot it. I have a question not answered here..